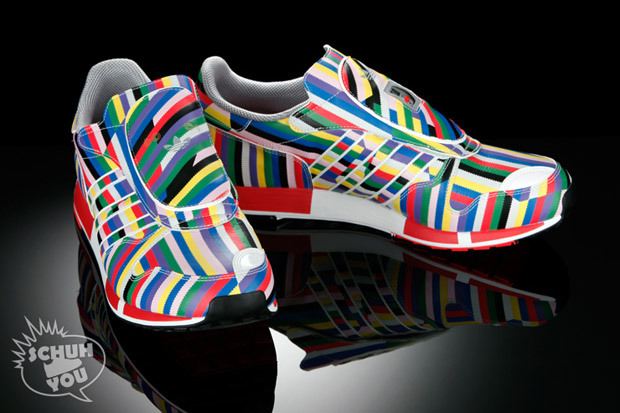 Adidas releases multi-colour sneakers in conjunction with the brand's 60th Anniversary. 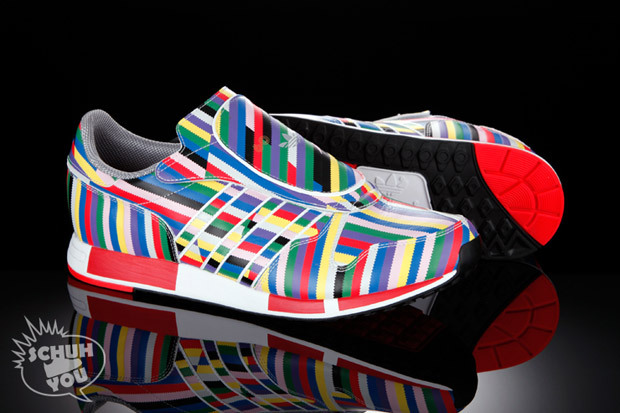 The colourful sneakers is constructed based on Micropacer model, which was originally released in 1984. Certainly one of their more popular novelty yet functional models, the brand incorporates time display, distance, and pace features into the updated 2009 version of the sneaker. 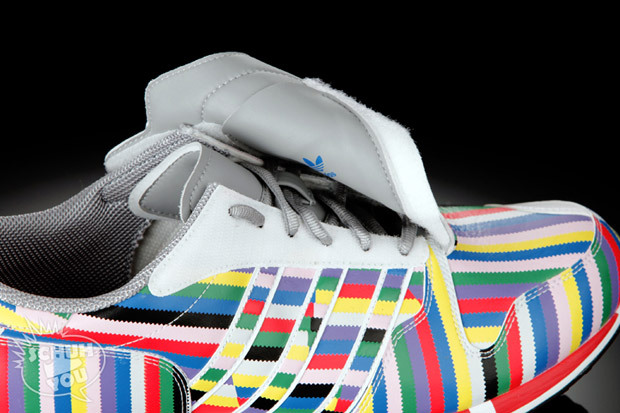 As far as design goes, the kicks were given a wealthy color treatment, working in a striped pattern upper with a good variety of vibrant tones. Retailing for $175 USD, they are now available via Schuh-You.